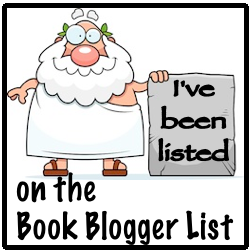 That's What She's Reading: Children's Book Reviews! I have a few children's books that I wanted to share with you, which were sent to me from the publisher for free in exchange for an honest review, but as always, thoughts, feelings, and opinions are all my own! 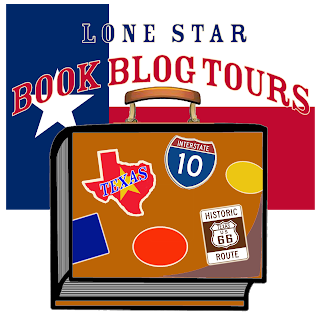 Many thanks to Little Bee Books for contacting me to review some of their newly released or forthcoming books. The boys and I are having a lot of fun reading these! 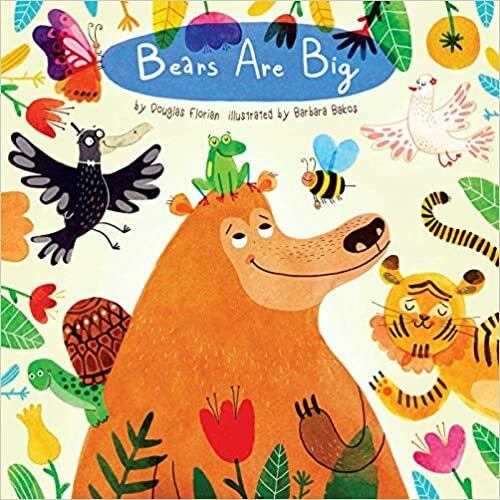 Bears Are Big is a beautifully illustrated board book that teaches little ones about opposites within the animal world. The animals are easily recognizable and even features some not typically found in children's books. 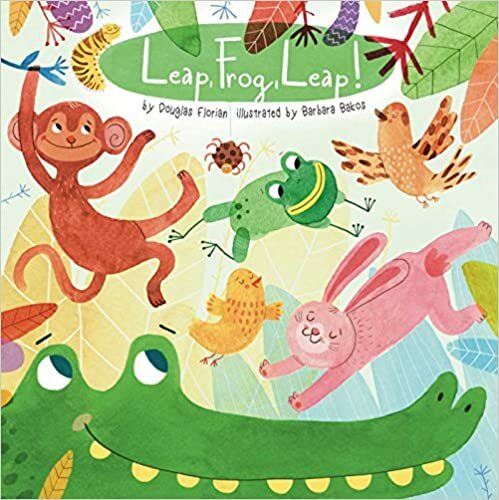 While the rhyming text ends abruptly, it is cleverly written, so as to maintain the attention of its young audience and will entertain babies, toddlers, and preschoolers alike. 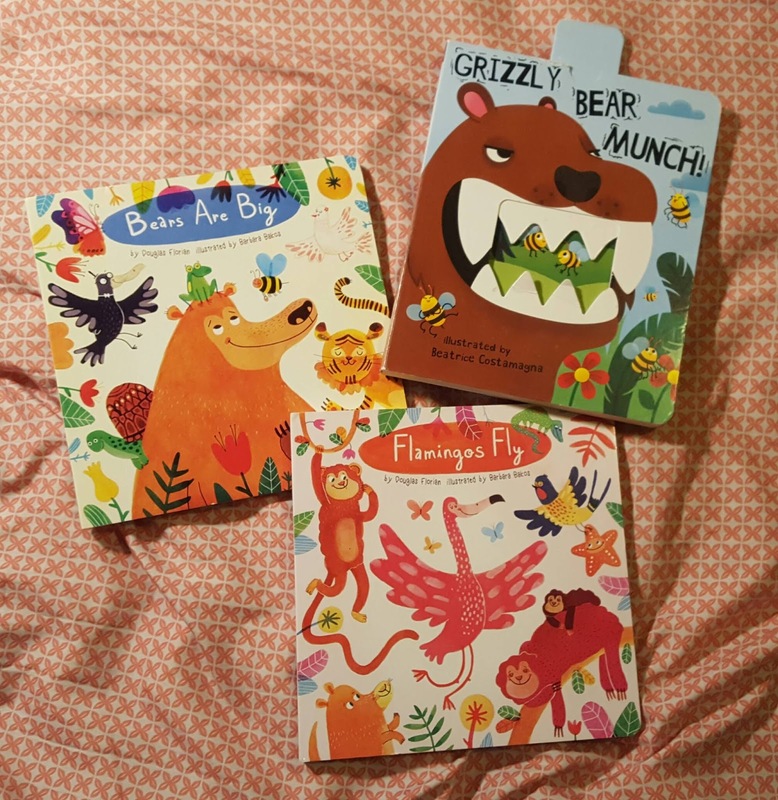 The text is boldly displayed, but doesn't overwhelm or overpower the unique style of these illustrations, which ultimately works well to encourage print awareness and identification in order to help develop early reading skills. 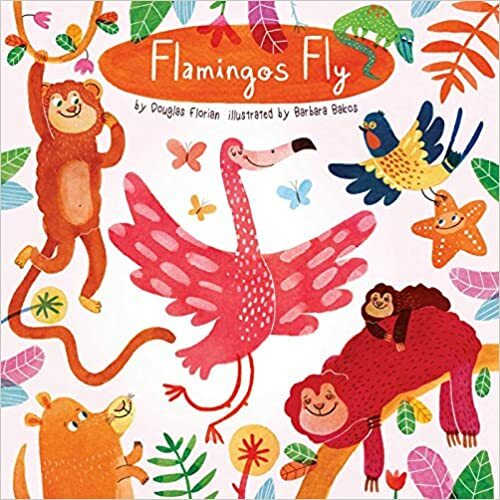 Flamingos Fly is a companion title that helps little ones discover animal movements. 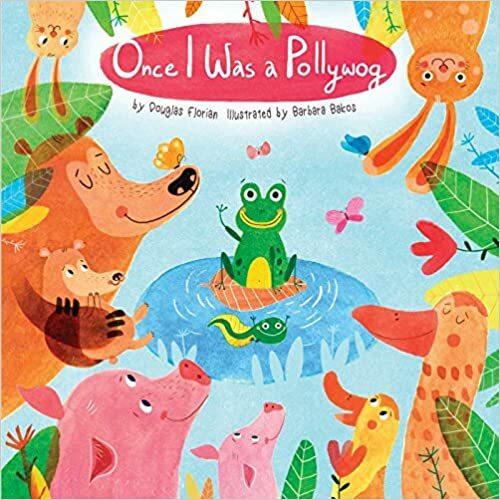 This book follows along in the same vein as the previous title, featuring bright illustrations and simple, rhyming text. The flow is slightly better, so the ending isn't as abrupt. The text is again boldly displayed, but doesn't distract from the illustrations. Kids will love getting up and moving along with these animals! Both books are very sturdily designed and will hold up well whether in the hands of a baby or young child. The boys and I really enjoyed these books and will definitely be on the look out for previous titles in the collection! 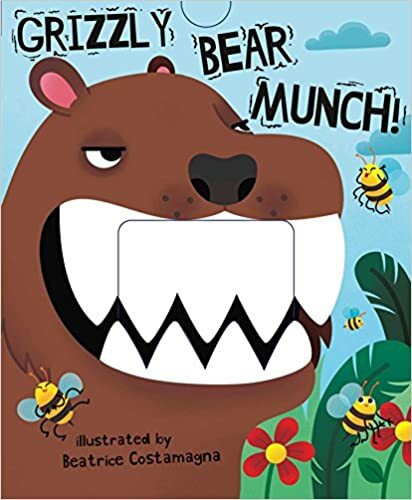 Unfortunately, this next book, Grizzly Bear Munch was not my favorite, but the boys were huge fans of its pull tabs and loved making the bear's mouth open and close. At this point, it has seen much better days, but is surprisingly holding up well given all the manhandling! This interactive board book has a slider on each page that allows children to lift the bear's mouth as he makes his way through the story trying to find something to eat. Reading this book encourages an engaging read to mimic the bear's sounds and frustrations; however, I didn't enjoy the story. Barry the Grizzly Bear wants something to eat, but he's very clumsy and can't seem to catch anything. He efforts leave him getting hurt, but a bunch of bees keep following him around and laughing at his failed efforts. Eventually, he gets so frustrated that he lashes out and threatens to eat them, only in the process of doing so, he gets hurt yet again. The bees end up feeling bad for him and offer up their honey, which he happily eats and believes that now he has made some friends. The illustrations are so bold and expressive that I ultimately used them as a guide to retell the story so that the bees and other animals in the woods were trying to lead the bear to the honey, but he wouldn't listen and kept enduring the obstacles that led to him getting hurt. Once he lets others help him, he is rewarded with the honey and friendship. This just made it easier for me to continue multiple readings of it for the boys, who absolutely loved playing with the mouth. There are many other companion titles in this collection featuring a shark, crocodile, wolf, polar bear, and dinosaur, but unless available at our library, we will just stick with this one. Many thanks again to the publisher for making these books available to us! 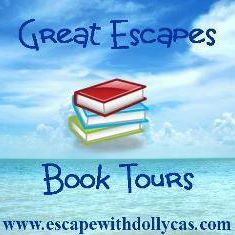 I will have several more reviews as the release dates get closer, so stay tuned!